 And so it is for the most part today: Invisible in our political discourse. Invisible in the press. Invisible in current discussions of solutions to our Great Recession but all too real for growing numbers of millions of Americans. The mainstream news media should acknowledge an obligation to make these invisible Americans more visible. Perhaps they could devote to the nation’s poor – and to solutions to poverty – even 10 percent of the news space and broadcast news time they give week in and week out to the tiniest ups and downs of the stock market, consumer spending, professional sports, and celebrities famous for being famous. Sachs, director of Columbia’s Earth Institute and special adviser to United Nations Secretary-General Ban Ki-moon on the Millennium Development Goals to fight global poverty, said the mainstream press generally takes its cues from the presidential administration and Congress in reporting issues. If an issue isn’t being promoted by an administration or by prominent members of Congress, then the press tends to ignore it. There was a brief, recent exception to the decades-long neglect of the poverty issue when the since-disgraced Democratic presidential candidate John Edwards made class and poverty the centerpiece of his unsuccessful 2007-2008 campaign. Edwards’s positions forced Barack Obama and other candidates to seriously discuss poverty for the first time since Lyndon Johnson’s “Great Society” and “war on poverty” of the 1960s. The discussion ended when the Edwards candidacy ceased. HUNGER: Some 49 million people, one in about every six Americans, last year experienced food insecurity – actual hunger or not enough food for an active, healthy lifestyle – the U.S. Department of Agriculture (USDA) reported this fall. The number of children classified as food insecure was 16.7 million – 4.3 million more than in 2007. USDA officials projected that the hunger figure would be even higher in 2009. Alleviating what could be an even greater hunger problem is the federal food stamp program, which helps cover the cost of groceries. The program has had record numbers of recipients every month this year, with one in every eight Americans (more than 36 million) currently receiving food stamps. UNEMPLOYMENT: The October jobless figures showed 10.2 percent unemployment and 17.5 percent underemployment for American workers. 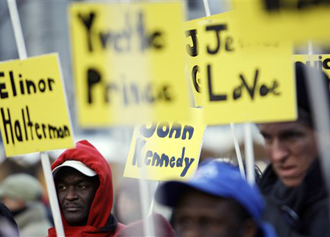 Unemployment for African-American workers stood at 17.1 percent. The Washington Post reported recently that unemployment for 16-to-24-year-old African-American men “had reached Great Depression proportions – 34.5 percent in October.” Young black women had a 26.5 percent jobless rate. HOMELESSNESS: Although accurate homeless figures are difficult to compile, individual cities and advocates for the homeless report an upsurge in homelessness over the last year. One organization estimated that over the course of a year some 3 million people nationwide are homeless at one time or another. In Los Angeles, the fastest growing segment of the homeless population is families with children, with some 17,000 parents and children reportedly homeless in that city on any given night. FORECLOSURES: CNNMoney.com reported in mid-October that the number of foreclosure filings hit a record high of 937,840 homes in the third quarter, according to a report by RealtyTrac, an online marketer of foreclosed homes. RealtyTrac called the just-ended three-month period “the worst three months of all time" for foreclosures. So far this year, lenders have taken back 623,852 homes. BANKRUPTCIES: Some 1.4 million bankruptcies are projected to be filed by the end of this year, up from the 1.1 million filed in 2008, according to the American Bankruptcy Institute (ABI). There were 135,913 consumer bankruptcy filings in October, an 8.9 percent increase over the September filings, and a 27.9 percent increase over October 2008, the ABI reported. HEALTH INSURANCE: The U.S. Census Bureau in September reported 46.3 million Americans lacked health insurance in 2008, compared to 45.7 million in 2007, with the poor and unemployed highly represented in the categories of uninsured and underinsured. A zero Gini rating would indicate a society in which everyone had equal income, while a score of 100 would indicate absolute inequality. The higher the number the more unequal the society. The most recent figures for the United States and China, as compiled by the United Nations and the Central Intelligence Agency, were 45.0 and 46.9, respectively. Iraq was at 42. U.S. neighbors Cuba, Canada and Mexico were 30, 32.1 and 46.1, respectively. The countries with the most equitable income distribution were mainly social-welfare or mixed economy countries with Sweden at 23, Denmark 24, Iceland 25, Luxembourg and Bosnia-Herzegovina at 26, and Norway, Germany and France at 28. The United Kingdom was at 34. The most unequal societies were Namibia 70.2, Equatorial Guinea 65, Lesotho 63.2, Sierra Leone 62.9, Angola 62, Central African Republic 61.3, Afghanistan and Gabon 60. To reduce U.S. income inequality and poverty, Sachs said it is vital to increase the U.S. tax base. Tax collections have remained steady at 17 percent of the gross national product (GNP) for the last 15 years. State and local government spending has increased some as a percentage of GNP, but when you add federal, state and local spending together you get a figure of 30 percent of GNP. In the social-welfare countries of Europe, the figure is between 45 and 50 percent, he said. Sachs said the biggest single difference between the United States and the social-welfare countries is our tax systems. “Europe has had a value added tax (VAT) since 1970, and my own recommendation is that the United States adopt this tax to raise our level of government spending by several percentage points of GNP,” Sachs told Nieman Watchdog. By doing so, “we will be able to spend more on job training for the poor, education, climate change, contributions to international development, paying down the debt” and other problems that the country is not dealing with adequately. “I don’t see how we can close the inequality gap without a value added tax,” Sachs said. A value added tax is like a sales tax on goods and services, but with the difference that the tax is calculated at each step of production and distribution, so it becomes “embedded” in the final price of the goods paid by a consumer, rather than added on at the time of purchase. 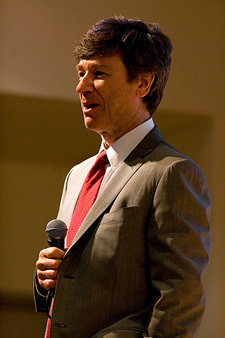 Sachs, a self-described liberal, noted that a VAT also has the support of some conservative “deficit hawks” such as Peter G. Peterson, the Commerce Secretary under President Nixon and cofounder of the private equity firm, the Blackstone Group, who regularly calls for reining in Medicare and Social Security costs. On the more liberal side, House Speaker Nancy Pelosi (D-California) in October declared a VAT would be “on the table” as part of a future discussion of a larger revamping of the tax code after the health insurance debate is resolved. In a report focused on U.S. national debt-to-gross-domestic-product ratio issued in September, the moderate Brookings Institution said that a VAT of 15-20 percent may be needed to help close the national fiscal debt. In addition to a VAT to produce more revenues, Sachs favors deep cuts in the military budget to increase development assistance to impoverished countries, as well as boost spending for a variety of underfunded domestic programs. As a critic of U.S. wars in Iraq and Afghanistan, Sachs called for withdrawing all U.S. troops from those two countries for $150 billion-$200 billion in savings, while slashing another $100 billion from spending for nuclear weapons development and unnecessary weapons systems. Sachs said the social-welfare countries of Sweden, Norway and Denmark offer many positive examples for the United States to emulate to deal with our growing poverty problem. Those countries, he said, are not only good at providing generous health care and other social insurance programs, but also have systems of government that emphasize “public values” and a sense of shared citizenship embodying a deeply-held belief that no citizen should be left behind. In his 2008 book “Common Wealth: Economics for A Crowded Planet,” Sachs presented a host of statistics and examples that show in virtually every category social-welfare countries are far better than mixed economy countries – and both kinds of countries are far better than free-market countries such as the United States – “in reducing poverty and inequality and in promoting health and prosperity,” as well as fostering a greater degree of social harmony and confidence in public institutions. Poverty at the time of the book’s 2008 publication stood at 5.6% of the population in social-welfare countries, and at 9 percent in mixed economies, far below the aforementioned U.S. poverty rate of 13.2 percent. With the debate at this level largely framed by right-wing politicians and broadcasters, majority party Democratic leaders today shy away from discussing U.S. poverty and inequality, or calling for programs that smack of the New Deal or the Great Society. But, Sachs said, the press can help change the terms of debate by focusing on the tragic human stories of U.S. poverty and showing the great successes European social-welfare countries and others have had in limiting poverty. Next: Reporting on global poverty. We lost our Critical Thinking skills in the USA. Again, the education is the key to spread that skill set. We let wrong people make the decision similar to Lawyers doing Liver transplants. That is why the number of poor is growing. We let Lawyers and Politicians make the decisions to re-industrialize America while the Supreme Leaders of China make the decisions for China who are Engineers. When wrong and greedy people make the critical decisions - we lost our way.